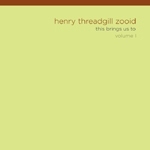 This Brings Us To, Volume II is the sequel to 2009's This Brings Us To, Volume I (Pi Recordings), Henry Threadgill's celebrated return to the studio after eight years. Culled from the same recording session, these complimentary releases are the renowned multi-instrumentalist's first commercially available recordings in almost a decade. Volume II finds the legendary AACM innovator's venerable Zooid ensemble exploring a similar range of material as its predecessor, working subtle variations from his singular aesthetic. Liberty Ellman (acoustic guitar), Jose Davila (trombone and tuba), Stomu Takeishi (acoustic bass guitar) and Elliot Humberto Kavee (drums) have all worked with Threadgill throughout the past decade; their seasoned interpretations of his labyrinthine structures is revealed in a sympathetic rapport that borders on the sublime. Shifting subtly between dynamics in mood, volume and density, the quintet expounds on the leader's Ancient to the Future-inspired themes with supple verve. 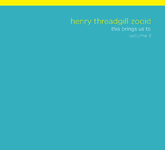 Defined as "a cell capable of independent motion within a living organism," Threadgill transposes the underlying concept behind a zooid into an organic methodology by which to structure collective improvisation. Each musician is assigned a separate range of interval blocks, enabling melodic, harmonic and rhythmic independence within an intricate framework of contrapuntal themes and multiple time signatures. The cumulative effect is a stately, chamber-esque latticework of kaleidoscopic textures and acoustic sonorities weaving through an undercurrent of cantilevered grooves. A distinguished composer of international renown, Threadgill's elaborate compositions encompass a range of global influences, incorporating aspects of African, Latin and Asian traditions into a rootsy, blues-based foundation that reaches back to jazz's seminal New Orleans-based origins. Threadgill's doleful alto lament at the conclusion of the melancholy title track draws upon the same timeless blues traditions as Davila's blustery trombone glissandos on the regal opener "Lying Eyes," while his diaphanous flute musings navigate the quicksilver polyrhythms of "Extremely Sweet William" with a funky precision equal to Ellman's circuitous cadences on the same. A consummate artist, Threadgill sequences the record into an ascending arc, staging the gradually escalating drama of "Polymorph" as a smoldering prelude to the jubilant, anthem-like finale "It Never Moved," which features his pithy alto at its most lyrical. 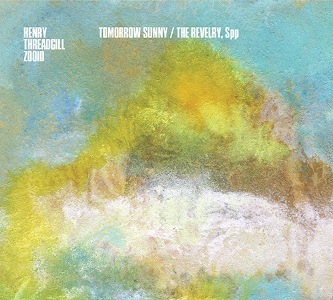 Threadgill's conception of controlled collective improvisation facilitates an open exchange of ideas within the ensemble, transcending conventional roles of soloist and accompanist by eradicating prototypical boundaries between the front-line and rhythm section. Ellman's incandescent fretwork, Davila's muted brass and Threadgill's contrasting combination of mellifluous flute and acerbic alto provide as much inventive forward momentum as Takeishi's buoyant bass and Kavee's scintillating percussion offer colorful harmonic detail. A superb follow-up to last year's return to form, This Brings Us To, Volume II is a stellar effort documenting the ongoing efforts of one of today's most important improvising composers.